Why is non-essential...essential? Non-Essential aminos are foundational building blocks of muscle! ISO100 is simply muscle-building fuel. 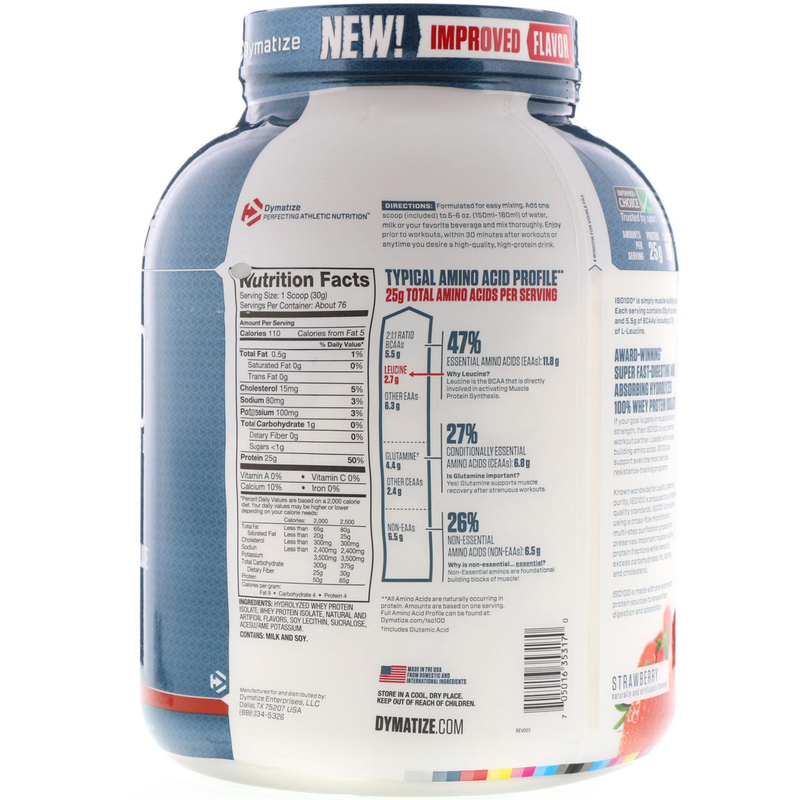 Each serving contains 25 grams of protein and 5.5 grams of BCAAs including 2.7 g of L-Leucine. Known worldwide for quality, ISO100 is produced to our highest quality standards. ISO100 is formulated using a cross-flow microfiltration, multi-step purification process that preserves important muscle-building protein fractions while removing excess carbohydrates, fat, lactose, and cholesterol. ** All amino acids are naturally occurring in protein. Amounts are based on one serving. Formulated for easy mixing. Add one scoop (included) to 5-6 oz (150 ml-180 ml) of water, milk or your favorite beverage and mix thoroughly. Enjoy prior to workouts, within 30 minutes after workouts or anytime you desire a high-quality, high-protein drink. 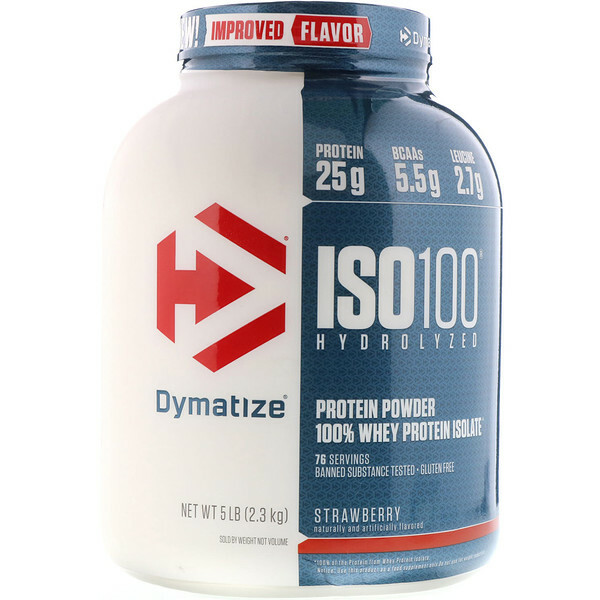 Hydrolyzed whey protein isolate, whey protein isolate, natural and artificial flavor, soy lecithin, salt, beet powder (for color), citric acid, malic acid, sucralose, steviol, glycosides (stevia).